Edible Candy Art is so much fun!! 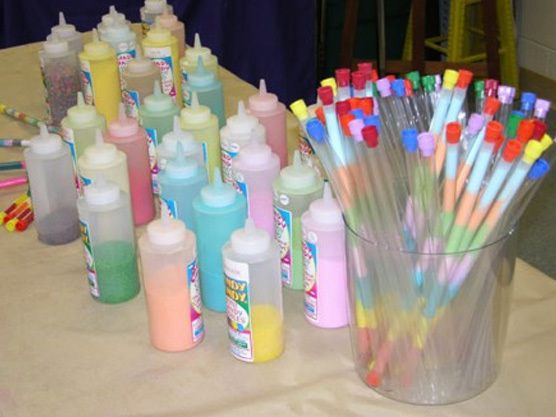 Guests of all ages have FUN layering their favorite flavors into straws/bottles to create an edible masterpiece! Choose from a variety of flavors including: strawberry, lemonade, cotton candy, bubble gum, fruit punch and more. Candy Art will make your kids’ art colorful, delicious and fun!